Matt was referred to me by a colleague of mine and I’m glad he did. Throughout the whole process, I found Matt to be professional, ethical, and with his team, kept me well informed. I would recommend him highly to anyone who is thinking of selling or buying a home. 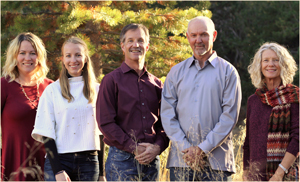 "We worked with Matt Hanson to purchase and years later sell our condo in Tahoe Donner. Matt helped us through our process as both a buyer and... continued"
- Brian & Susan A.